Brrrrrrrr! We’re coming into that season where warm breakfasts, heavier sweaters, and crunching leaves are under foot! 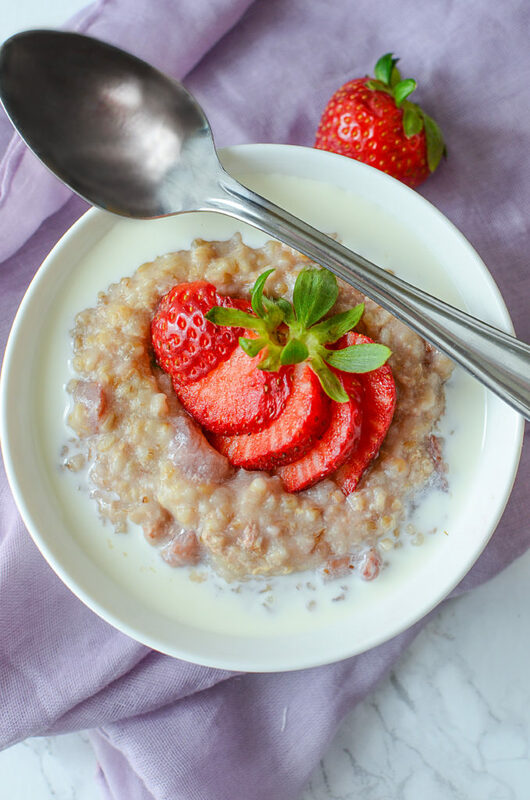 Personally, I love staring my mornings off with steel cut oats ANYTIME of the year, but fall is especially perfect for a “stick to the ribs” warm breakfast. 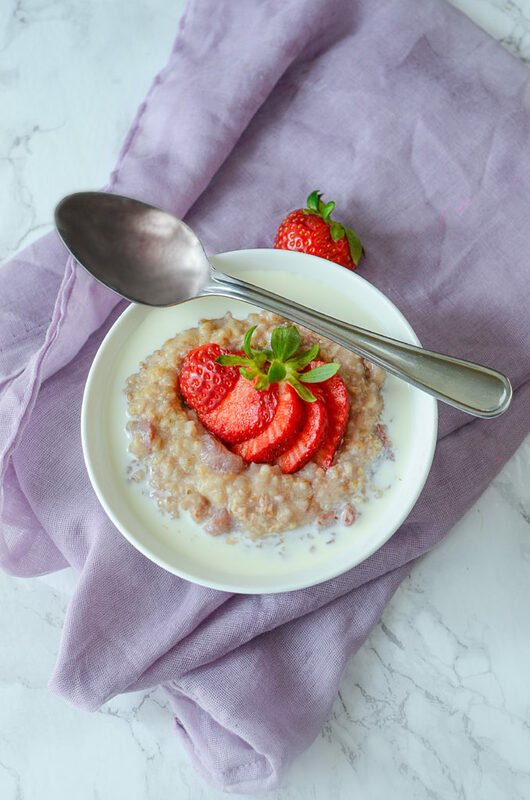 So, here’s my recipe for Crock Pot Strawberry Steel Cut Oats to warm you from top to bottom with a pretty berry addition!! This recipe can’t be any easier. What do I mean by easier? Lemme count the ways!! – Can’t be easier on your wallet! This recipe can be made ahead of time, so if you wanted, make a big batch of it on the weekend, and simply store in the fridge in pre-portioned containers. 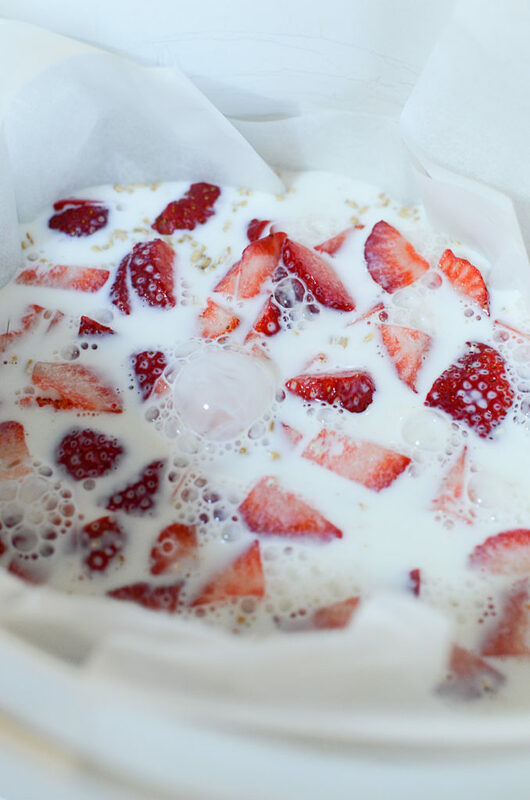 Another option for this amazing strawberry steel cut oats breakfast is that you can portion out amounts into ziplock bags, and then freeze them flat, taking up very little room in your freezer. Then take them out and put them in the fridge overnight, and they’ll be ready to heat in the morning!! 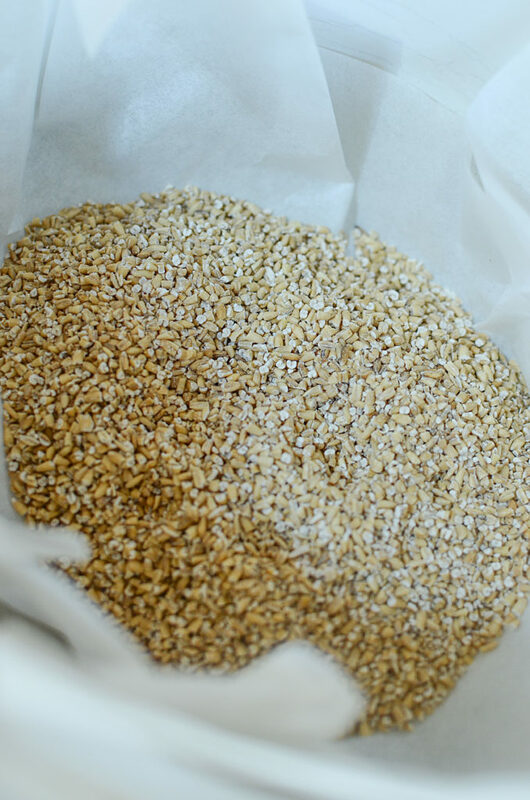 The cleanup is super simple by lining your crock pot with parchment paper. Also, you can also use the crock pot liners that make cleaning up a complete breeze! Besides passing on to you this recipe, there’s really not much more to say about this dish. 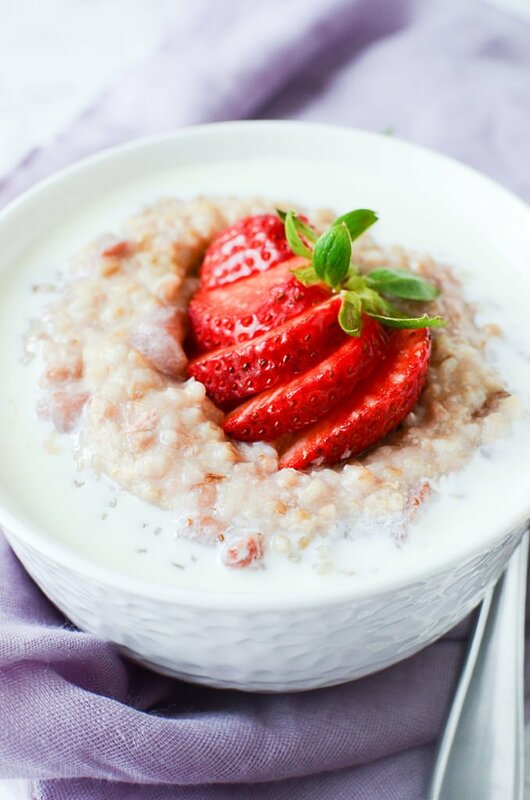 These crock pot strawberry steel cut oats are just a first in a few different morning breakfast ideas that I’ll be posting about. Some sweeter, some savory.. some on the brunchy side,.. some to easily grab and go. Let’s take some of the stress off by using our crock pots! As for the recipes, …. I’ve got your back, my gorgeous reader. Till next time, eat them oats!! A hearty and healthy way to warm your belly for breakfast! On serving, garnish extra cream and sliced strawberries.